On the night of the match we’ve been invited to a Wild West 4oth. Give me any excuse to whack on a pair of cow-girl boots and a hat and I’m all over it! I’m not sure if it’s a Giuseppe (or an Italian or man) thing but he’s less keen on the whole idea of fancy dress. Before I could tell him about my grand plan for him to dress up as Toy Story’s Woody and me to go as Jessie, he said he already had the night booked out with the boys to watch the football at Donna Margherita’s in Clapham. 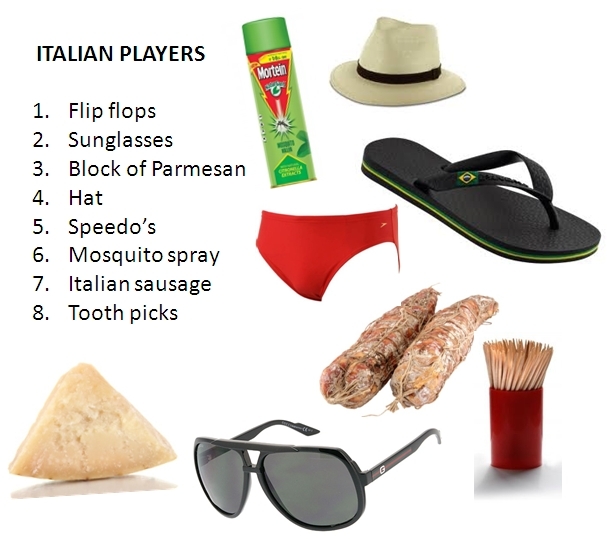 Dressing up as Woody Vs gay pizza and football with the Italians? I didn’t stand a chance (re: gay pizza that’s not me reverting to playground insults, they really do sell ‘Pizza gay’ at Donna Margherita’s – it’s apparently very good). Anyway, I’m happy to leave him to it and make mine a girlie night (and go as fancy dress-crazy as humanly possible)! Huumm Pizza lesbica? So Pizza gay isn’t just a google translate mishap for happy pizza then.